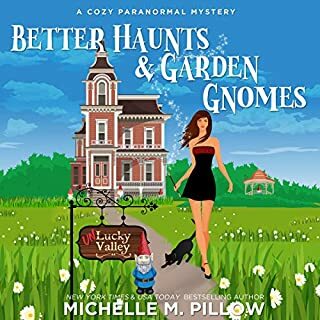 Welcome to Lemon Bliss, Louisiana, where an abandoned lemon tea factory is the most happening place in town and witches secretly rule the roost. 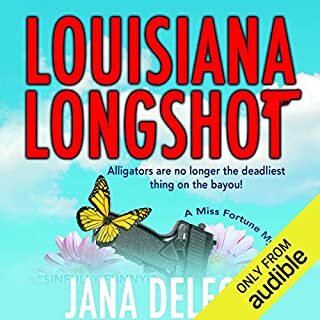 Violet Broussard gets called back to the hometown she left in the dust when a dead body is found in the abandoned factory bequeathed to her by her grandmother. Violet has plans, and they most definitely don't involve staying in Lemon Bliss any longer than necessary. The town is mostly famous for its lemon tea infused with enough alcohol to make one experience bliss, hence the town's name. Yet, once she's there, things get a tad wacky. Cendrine West is looking forward to a cozy Christmas Eve dinner when a blizzard blows in, bringing with it a flurry of unexpected guests. But tipsy witches and mischievous magic spell a recipe for disaster, especially when a guest turns up dead. Cen’s sleuthing exposes a Santa-size sack of trouble, and everyone’s a suspect, even her hunky sheriff boyfriend. Is it a deadly accident by a drunken witch...or something more sinister? 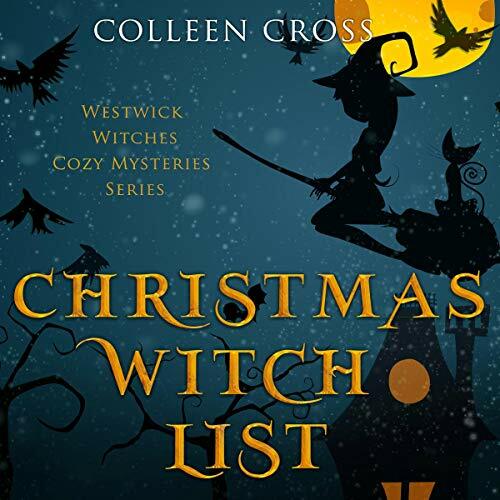 Murder is on the menu, and only magic can uncover the truth in this witchy, wacky Yuletide thrill ride! 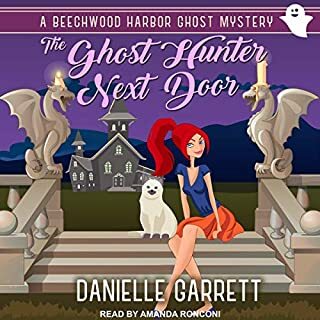 I enjoy this cozy mystery series so much! I would strongly encourage anyone to start with book one so that you will be familiar with the characters and not miss anything. This family of witches is a hoot! Narration was great and brought the story to life! This series is so entertaining and fun with unexpected twists and turns and delivered with lots of laughter! Aunt Pearl is still up to no good and trying to run the sheriff out of town. She invites several people to their family holiday celebration. Cendrine is not pleased but there is nothing she can do. This will not be a private family dinner like she had expected and trouble brews. Excellent Author and amazing narrator! I’m always looking forward to any book done by this dynamic duo! 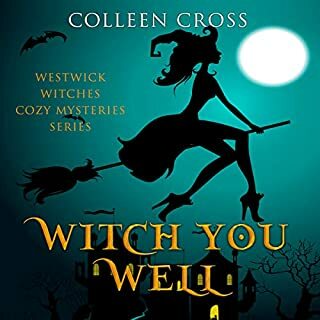 I've been following this series on audiobook, quite deftly narrated by Petrea Burchard, and have watched Cen become ever so gradually more adept at spells and witchcraft. Like Samantha in "Bewitched," she rather considers it cheating to use magic for things she can do herself (no, wait, that was what Darren thought). However, each story so far could easily stand alone, so if this is your first introduction to Westwick, you will feel right at home. This Christmas pageant introduces you to some South Pacific lore--based on historic events!--as magic is overcome by old-fashioned greed and guile. This narrator makes me love this series! From the very beginning when I heard this narrator I was hooked! There are some books that are just better in audio and this is definitely one of them. I was voluntarily provided this free review copy audiobook by the author, narrator, or publisher. 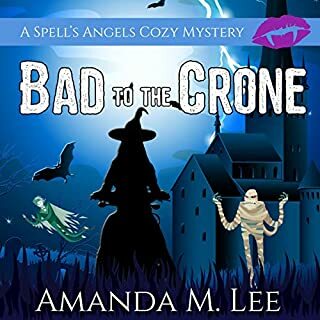 This is a thoroughly enjoyable cozy mystery. It has a great mixture of mystery, suspense, and romance. The narrator does a wonderful job of reading this book and bringing each character out. This cute murder mystery will put you in the mood for Christmas and snow. I really enjoy the characters that Colleen Cross has created in this series. I am a bit disappointed with Cen and the fact that she keeps promising to do better with her witchcraft and never follows through. Because when she commits she does very well. Its Christmas eve and Cen and the family are preparing for the family Christmas Eve Dinner and games. Only this year Aunt Pearl has invited some mystery guests, and if you know the series you know that means trouble. I was a bit surprised that Aunt Pearl's star student could not bypass the plane and weather and zap herself home. Also the scene of the first mystery guest arriving is a bit awkward to me it seemed to repeat the same questions or thoughts just in different ways. I noticed this at another spot in the story too. Nice job on the narration. Another winner. This series is fantastic. There is always something going on with aunt Pearl. This time another murder while the family and guest were eating Christmas dinner. A snowstorm, a murder and some surprise guest for dinner. What could be more fun?.. I recommend this book and this series. It will keep you entertained from start to finish. I received this book free in exchange for an honest opinion. Colleen Cross has written another great book. I love the characters in this series. Aunt Pearl cracks me up, and Cendrine is very endearing and the main witch of this book. This book is both a standalone listen and part of a series. 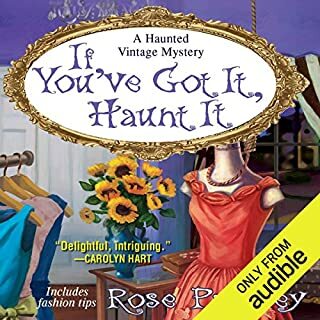 Petrea Burchard fits this narration perfectly. I love her distinctive voices she gives the various characters. This book is both cozy and funny and has the murder solved. If you've made it this far in the series you have a pretty good idea of what to expect. If you haven't read the other books I recommend reading the series in order although you don't have to, they do link together. Aunt Pearl is being her normal obnoxious self although her behavior towards her student is far from normal, still she's in full snark mode for most of the book and the humor is much appreciated. Poor Cendrine is just trying to have a romantic Christmas with her boyfriend, oops, looks like that's not happening, it's one thing after another and it makes for a fun and exciting book with an element of mystery. Petra did a fantastic job with the narration, her character voices enhance the personalities of the characters and the delivery is perfect. Loved the ebook, loved the audio even more! It was fun to listen to the different voices in the story. Kudos to the author and the narrator!